EMV smart cards are a hot topic in the US right now due to the data breaches that we have been seeing here. This blog is going to cover the history of EMV, what EMV stands for, and where it is going in the United States. Total Merchant Services, a leader in payment processing services, announced today the launch of Groovv, a new, powerfully simple suite of products and marketing solutions that helps retail and restaurant businesses grow, become more efficient and more profitable. With the introduction of Groovv, Total Merchant Services emerges with an unrivaled technology platform that integrates key business management solutions with point of sale, payment processing,data, and marketing. Backed by Totals unparalleled merchant and sales partner support programs, Groovv is being unveiled at the Electronic Transaction Association (ETA) Show in Las Vegas, running April 8-10 at the Mandalay Bay. Do you have a new business and need to set up to process credit cards? If so then you probably understand that you will need to get merchant services for your business by setting up a merchant account. What you may not fully yet understand is exactly how the merchant account works. If you have been processing credit cards for some time now you probably will not benefit from reading this post about merchant accounts since this outline will very basic. However, if you are new to credit card processing and need a merchant account read-on. Underscoring its commitment to building a comprehensive portfolio of technology-driven business and payment solutions that drive sales for small- to mid-sized businesses (SMBs), Total Merchant Services announces the acquisition of Registroid, one of the leading point of sale (POS) software downloads on Google Play. 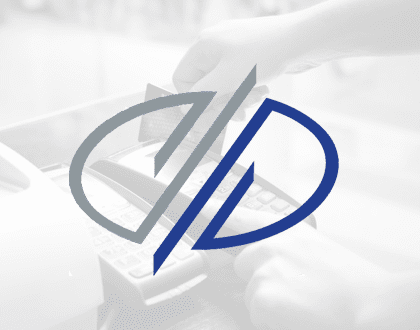 The acquisition provides Total with a robust POS solution that will serve as the backbone for future expanded offerings from the company, which will help merchants grow and manage their business more effectively. Should I Use Square or get A Merchant Account? You might be in a position right now where you are looking for credit card processing for your new or existing business. In looking I am sure you came across Square merchant services. They offer credit card processing at a wholesale rate (one flat rate for all card types). This can be appealing for a new business owner looking for credit card processing for the first time. Let see if Square merchant services right for your business. If the following statements fit your situation then a credit card processing service such as Square is right for you.